What you need to know to get married in the Poconos. Direct from the Poconos, Wedding / Elopement Packages designed for the couple who just wants to getaway and have a complete wedding experience for themselves. Packages which include Larger celebrations and/ or elaborate receptions. Many different resort and non resorts venues are available from resort style with nightclubs to rustic lodges with mountain views. Wedding Services - Find ministers, facilities, cakes, caterers and more on these pages. The Pocono Mountains, also known as the "Endless Mountains", covers four counties in Pennsylvania, & this region is often referred to as "The Honeymoon Capital of the World" or the "Land of Love". It all started in the mid-nineteen forties when Rudolf Von Hoevenberg opened "The Farm on the Hill", which was the first honeymoon resort in the Poconos. In the late 40's & the 50's an increase in the area of resorts targeted honeymooners. In 1963, Life magazine featured a photo of the nation's first heart-shaped tub that was located at Morris B. Wilkin's resort,now called "Caesar's Cove Haven." 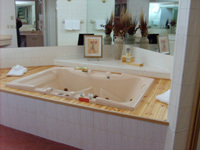 The popularity of the tub helped to stimulate the romantic appeal that the Poconos region enjoys today. Besides the romantic appeal, the Pocono Mountains provides numerous activities as well as beautiful scenery that over 200,000 honeymooners enjoy each year. 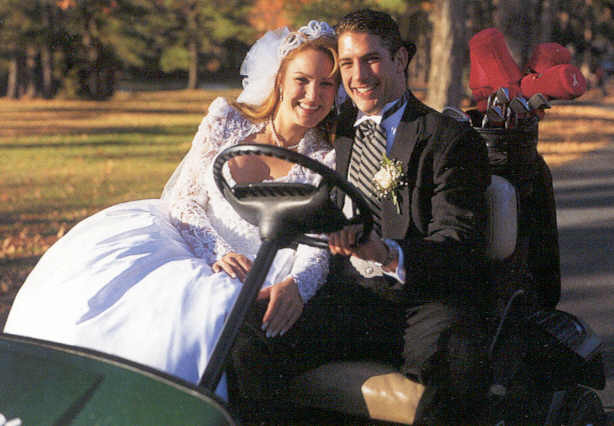 Our PoconosBest Wedding coordinators can help you arrange your ceremony with all the trimmings along with your short or long honeymoon stay at one of our fabulous resorts. It is an easy process -- just call and ask for information about "Getting Married in the Poconos". -- That a Holiday may make air travel or transportation a problem for people getting to the wedding on time. -- If a number of friends are having to fly in, check with some local hotels or motels as far as a group rate for those dates. -- Tactfully make sure the moms understand that this is YOUR wedding. If you reach a sticking point, back down and think as logically as possible. Where possible, give in on some detail. But, if there is something that you absolutely have your own heart set on... go ahead and cry uncontrollably until you get your way.